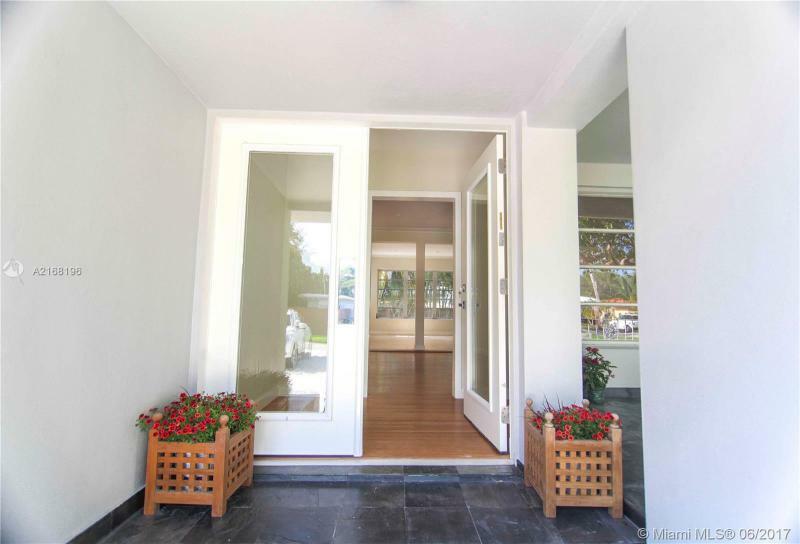 This one level home was elegantly designed and located in desirable Del Mar - Buenavista. Upon entry, upgraded tiled floors surfaces and high vaulted ceilings welcome you, followed by solid wooden french doors leading you the outdoor living space. The open concept Living room and the renovated granite Kitchen design, allows comfort space for either entertainment or pleasure. Split floor plan features 3 rooms on the west area, then giving full privacy to The Master Suit located at the east side. OUTDOOR OASIS! 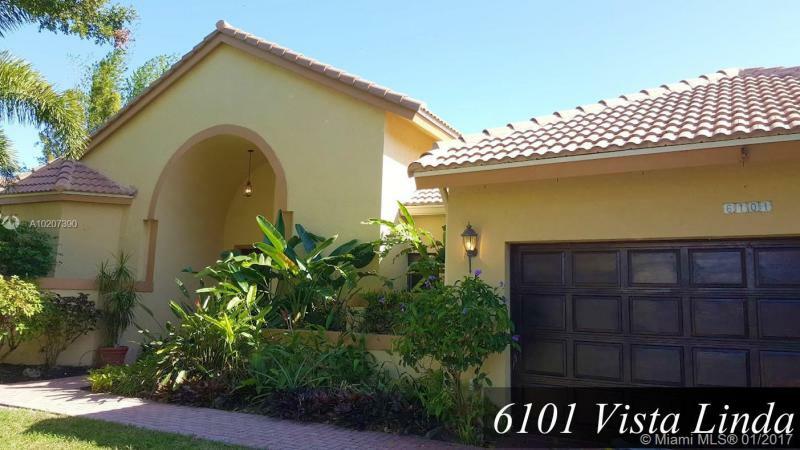 BEAUTIFUL LAKEFRONT POOL HOME IN EXCLUSIVE GATED COMMUNITY DORAL GARDENS. LOCATED IN A PRIVATE CUL DE SAC. COMPLETELY UPGRADED WITH NEW KITCHEN, BATHROOMS AND MUCH MORE! 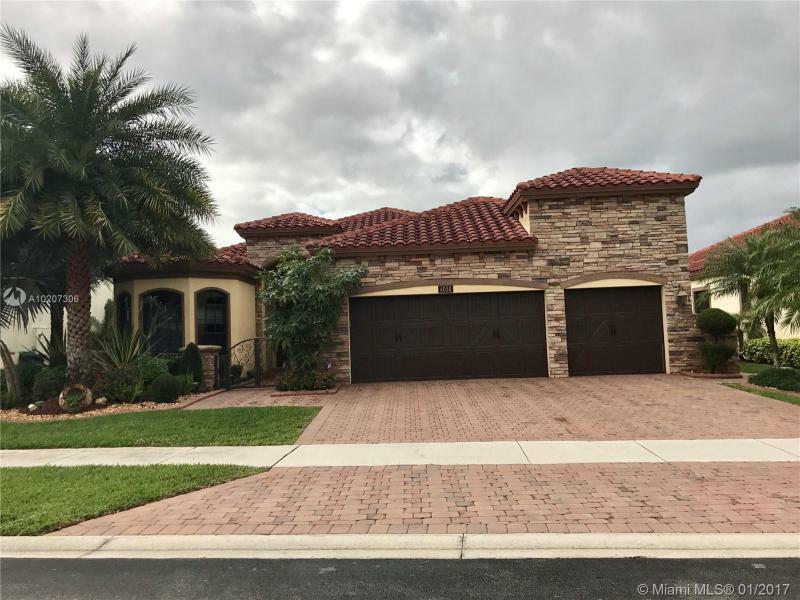 PROPERTY FEATURES 4 BEDROOMS (ONE DOWNSTAIRS) 3 BATHROOMS, NEW WATER HEATER NEW HIGH EFFICIENCY A/C, NEW WASHER AND DRYER, LED LIGHTING THROUGH THE HOME, SALT WATER POOL SYSTEM, COLOR LAMINAR WATER JETS AND TRAVERTINE PAVERS, GRANITE OUTDOOR BBQ. This one of a kind property offers you a private tropical oasis in a quiet and relaxing environment. It features a large natural lagoon with a beach entrance, coral rock waterfall and grotto. Lush green landscaping surrounds the lagoon. There are also avocado and mango fruit trees in the backyard. Property has travertine floors, updated kitchen and baths and wood floors in bedrooms. Huge Open Patio overlooking water feature, fire pit and pig pens. Dream Home!!!! Your clients will fall in love!!!! Spectacular totally updated/renovated 4/2 SFH in the coveted East Kendall/Baptist Hospital Area. Updated bathrooms and kitchen w/breakfast nook. Polished terrazzo flooring through most of the home with Mexican tile in the family room and one guest room. All but one window is hurricane impact with spacious living/dining and family room. Nice 32x16 pool with built in lighting and outdoor sound system. Yard completely fenced with plush landscaping, fruit trees and automatic sprinkler system. A must see! GREAT LOCATION!!! STEPS TO DESIGN DISTRICT. 2/1 + DEN, PLUS A DETACHED 1/1 STUDIO. 7,200 SQ.FT LOT. AC CENTRAL. PLUMBING, ELECTRIC AND WATER HEATER (8 YEARS OLD), PAVED DRIVEWAY, ROOF (5 YEARS OLD). ONE BLOCK TO THE HIGH END BOUTIQUES, RESTAURANTS, MAYOR HIGHWAYS. NEXT TO MIDTOWN AND WYNWOOD. LOCATION LOCATION! LOCATED IN THE PRESTIGIOUS ESTADA AT MONTERRA ESTATE HOA COMMUNITY! LAKEFRONT, LARGEST ONE STORY MODEL, 4 BEDROOM, 3 BATHROOM, BONITA MODEL OFFERS HURRICANE IMPACT GLASS THROUGHOUT, WITH 3 CAR GARAGE. THE MAIN GATED COMMUNITY OFFERS 24 HOURS SECURITY AND IT IS CLOSE TO MAJOR HIGHWAYS AND A+ RATED SCHOOLS. MANY, MANY ORIGINAL BUILDER UPGRADES.